A perfect weeknight meal for two! 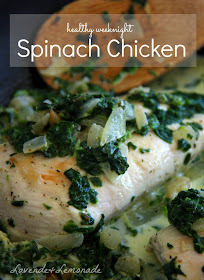 This recipe is so, so simple, is inexpensive, and has the flavor of a much more elaborate dish. 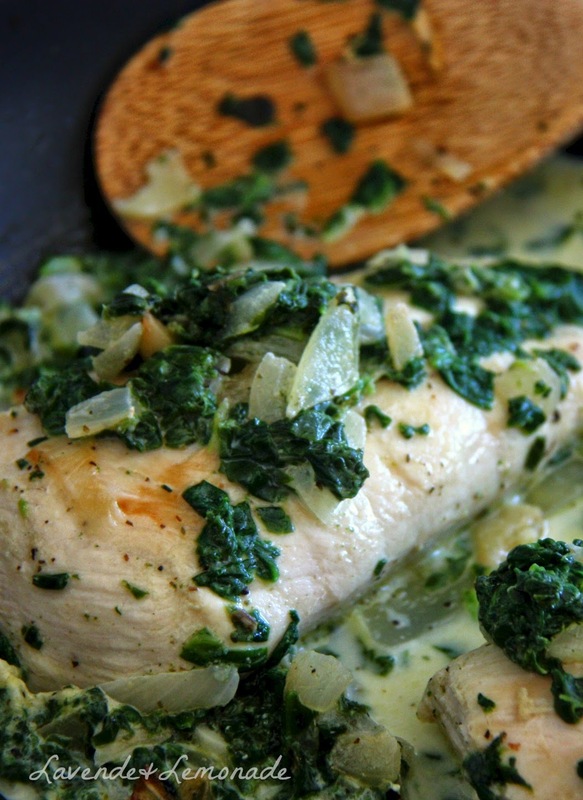 Its a perfect healthy weeknight meal, and goes great served with rice. I love when I can get everyone fed a healthy, tasty meal in minutes - this recipe does exactly that! Heat the olive oil in a pan on medium heat, then add the onion and garlic. Saute the onions until they're softened, for about four minutes or so. Stir in the mustard and herb mix. Add the chicken breasts, and let them gently brown on one side for around 2 minutes. Flip the chicken, cover the pan, and cook for another 8 minutes. Then, add the spinach and 1/4 cup cream, cover, and simmer for 5 more minutes. Stock up on herbes de provence HERE!